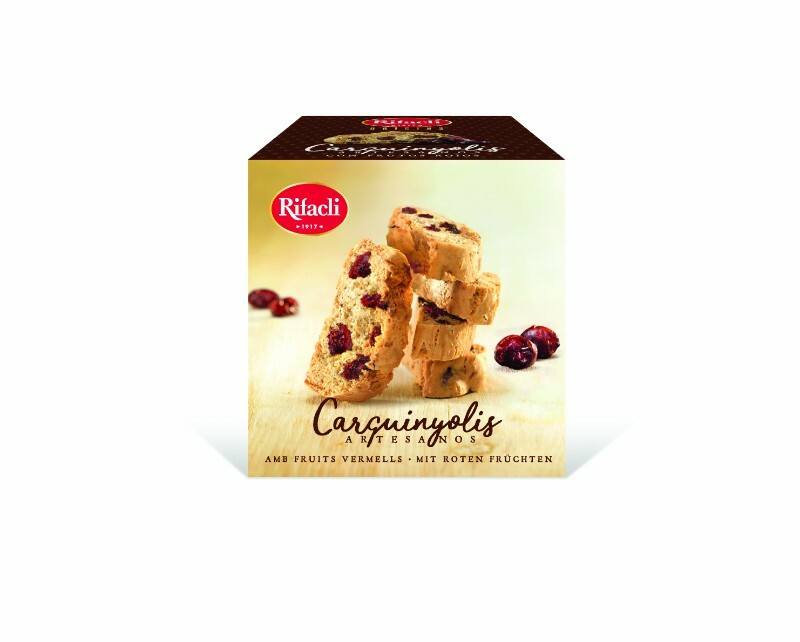 The Carquinyolis with red fruits are one of our latest developments. We have replaced the almonds with dice of red fruits and blueberries, a source of antioxidant. Delicious with a black tea. Wheat flour, sugar, cranberries (10%), berries pieces (7%) (fruit purée in variable proportions (48,5%), strawberry, raspberry and gooseberry, glucose and fructose syrup, glycerol, sugar, wheat fibre, pectin, malic acid and citric acid, flavouring), palm vegetable oil, salt, powdered egg, E-503ii, E-500ii, vanillin and flavourings.